Law enforcement authorities have long searched for non-lethal ways to control people. As a society becomes less and less tolerant of not only crimes which can be responded with lethal force, but also things like protests, groupings and other scenarios where a large amount of people may be deemed to be disruptive, they often look for tools that can be applied to a large area, and which will not look overly violent. This is the purpose of an Active Denial System. First developed by the military, these techniques are being adapted by civilian authorities in order to better control a population with little issue through strong deterrents. A typical ADS is a large antenna mounted on a vehicle or building which sends waves of energy in order to create very high discomfort, forcing anyone in front of the antenna to leave. There are many types, such as sound systems, but the latest models work more like a microwave. These types of ADS send micro waves of a specific frequency which causes a high intensity of warmth in anybody standing nearby. Unlike an actual microwave however, it does not create actual heat inside of the body, just along the outer skin later. By suddenly feeling yourself completely enveloped by intense heat, your first reaction is to flee, and this is what the authorities are hoping the device will do. Raytheon is a defense contractor which brought one such device back from military use, and adapted it for civilian applications. 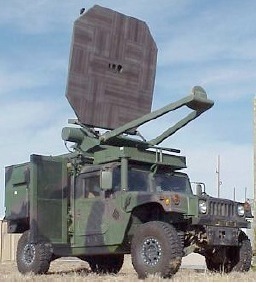 The Raytheon Silent Guardian is a smaller version of the antenna which can be used by law enforcement or security personnel to protect a specific area. It can be mounted on a vehicle or placed strategically, and when used, any protestor or agitator inside of the area will have this feeling of warmth, and be forced to run away. Already, the company sold its Silent Guardian to several law enforcement organizations, including the LA County jail. This technique is obviously very controversial. While the technology has been studied by the military, little is known as to what the long term effect is on humans. The ADS heats up a layer of skin, and excites water molecules in your body. People who experienced the effect say that the heat ends as soon as the weapon is turned off, but a tingling sensation keeps going for hours. Some people have reported getting burns after being affected by the device, and because a very specific frequency has to be used in order to be safe, these weapons could be modified to make them lethal. Regardless of whether or not these are safe weapons to use on innocent civilians, it seems likely that they will be used more and more in place of water canons, since they are more practical for the authorities to use, and don’t leave such a large footprint on the surrounding objects. Click here to find out why nano tech weapons are a serious threat . . .